The problem with most battery cases or external batteries for the iPhone 5 is that they add significant bulk to the svelte smartphone. 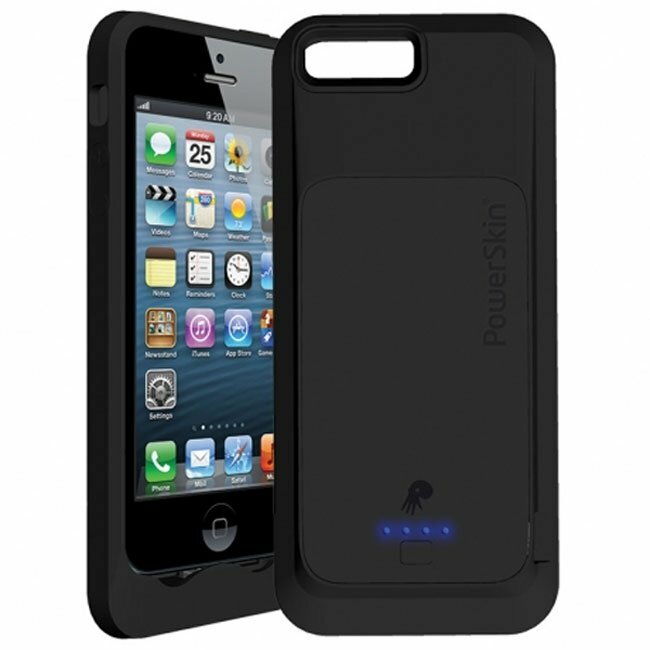 PowerSkin has announced that it is now shipping its PowerSkin for Apple iPhone 5 battery case. The case is available for $79.99. The company says that this is the thinnest case it has ever designed adding only 0.3-inches of thickness to the phone. Despite being thin, the internal battery has 1500 mAh of power promising an additional 6.5 hours of talk time. That battery will also extend your Wi-Fi usage by up to eight hours and standby time by up to 182 hours. The case measures 2.5 x 0.65 x 5.1-inches. That’s thin enough that you should barely know the silicone case is installed on your iPhone 5. The case weighs 0.18 pounds and will begin charging your iPhone 5 at the press of a button.